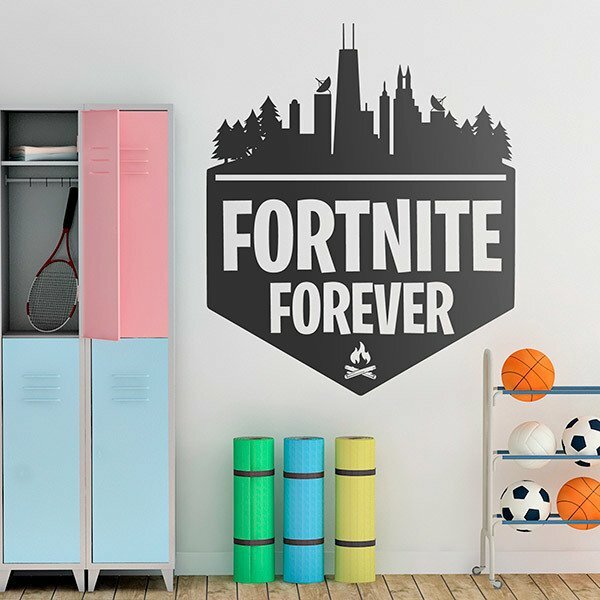 Wall sticker Fortnite Forever. 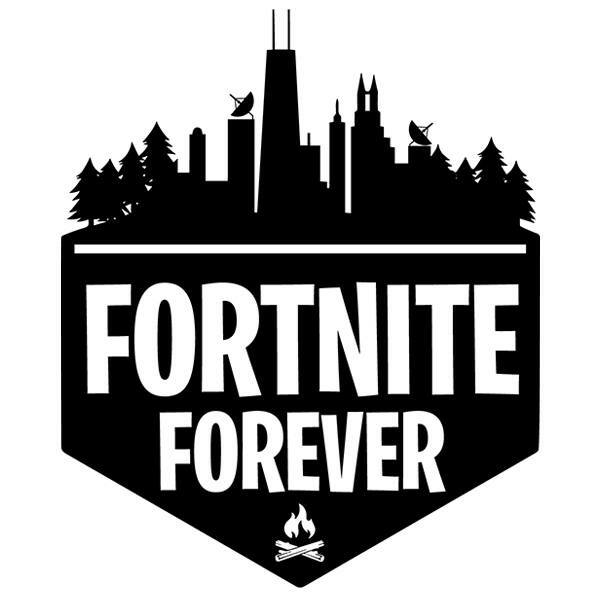 Emblem of the Epic Games video game, action, shooting and survival online, cartoon style. It has two game modes where building a shelter, making items and 100 player combats are vital to stay alive. Size: 29 x 23 cm.